When Bishop Trobec was appointed to the St. Cloud Diocese in 1897, Central Minnesota was no longer considered part of the “American Frontier.” The railroad system was well established, which promoted commerce and improved local economies. Most towns had large buildings and beautiful churches on their main streets. Bishop Trobec led the church of St. Cloud through a time of great growth. His priorities included vocations and Catholic education. The number of diocesan priests, the number of parishes and the number of children educated in Catholic schools nearly doubled during his tenure. 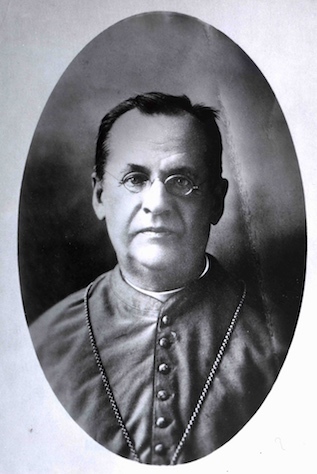 One challenge of Bishop Trobec’s time was the movement toward the Americanization of the Catholic Church in the United States. As in much of the United States, most Catholic churches in the St. Cloud Diocese were founded by settlers from a single country of origin. Parishes, especially those of German settlers, fought to preserve their nationality in the context of their church.